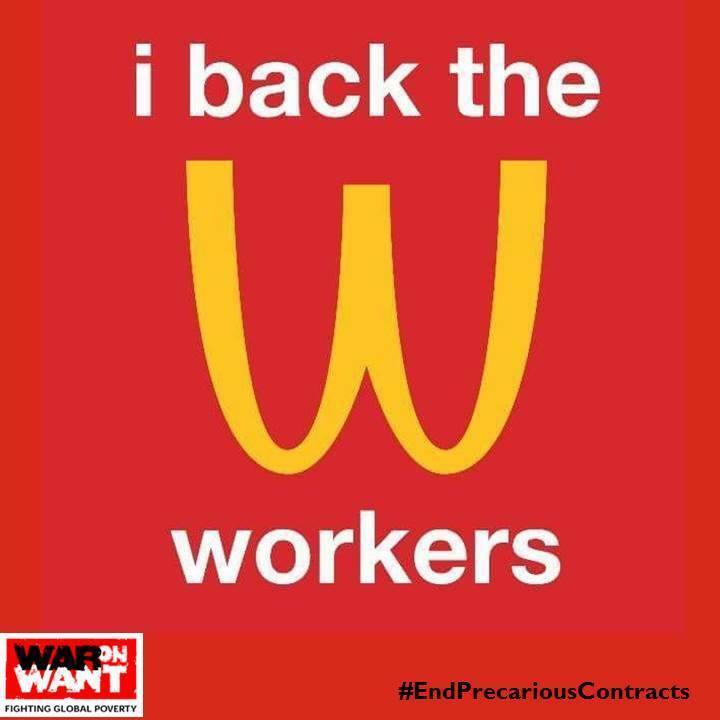 As McDonald’s workers take a stand against the world’s second largest private employer, anything you can do to show your solidarity will help boost their confidence. We’ve put together the following list of actions to help show your McSolidarity. McStrikers will come together to demonstrate in Watford, the hometown of multi-millionaire global CEO Steve Easterbrook. Remember to use the #McStrike Hashtag. 5) Change your profile picture on social media (and encourage others to do the same). 8) If you have skills as a designer, photographer or videographer, then do get in touch. 9) Resources: the following resources are available to use.